Eating out is something that we do often. It's fun, easy, convenient plus you get your food quickly and you don't have to worry about the dishes! For some, eating out may be an everyday thing, whilst for others it may be once, twice or three times a week or month. Whatever number of times we go out to eat, it's important that we choose the healthier options. But just how do we know that this is healthy and this is not? With a few tips under your belt, eating healthy when you go out can become your second nature. First of all, one needs to know what is healthy eating? Once we understand this and are living a healthy eating lifestyle, we won't find it difficult to choose the right kind of meals when we eat out. One of the tools that can help you to do just that is the food pyramid diagram or My Plate. They were designed in such a way as to help you know and understand how much from each food group you need to eat daily in order to stay healthy. From your childhood, you may have been told time and again, over and over to "eat your vegetables" and possibly fruits were thrown in there too. This is because they are one of the foods that are low in calories and yet packed with nutrients, vitamins and minerals that will benefit your body. 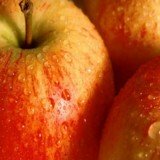 Having said this, it is sad to note that the world over, fruits and vegetables are the least eaten foods. Even though they have the most amazing benefits for the good health of your body. So you may wonder, what is the connection between eating out healthy and fruits and vegetables? One great thing you can do when you're out on the go is to carry some fruits and vegetables with you. You can snack on these when the hunger pangs hit you. This is definitely a healthier snack to eat when you're out unlike a doughnut or french fries (which will actually be another meal, only adding more calories to your body!). One really needs to be careful when choosing their snacks. Let them be just that and not another meal. Fruits and vegetables can also be served as an appetizer. Choose raw and not marinated vegetables, fresh fruit and also fresh, steamed seafood. Now when you're in your chosen or preferred place of eating out, be it a restaurant, cafe, drive-through or bistro, there are a couple of important things that you should do to ensure that you're eating out healthy. First of all, choose a place where you know there will be variety, that way you can be sure to find a couple of healthy options. Secondly, before you go on and order, take a look at the nutrition facts of the food you want to eat. If the nutrition facts are not readily accessible, you may request for them from the waiters or manager. Once you're looking at the nutrition facts, pay close attention to the following; total fat, saturated fat, trans fat, cholesterol, sodium and sugars. Too much of these may lead to adverse health effects such as hypertension, heart disease and stroke. The nutrition facts help you to analyze and see just how much of the nutrients, minerals and vitamins are in the food, as well as the calories. So if you're trying to watch your calories and stick to your diet, the nutrition facts are a good help. Another important tip for eating out healthy is watching your food portion or food serving size. Watch out for labels such as jumbo, mega, super-sized, deluxe, giant, biggie-sized, double- or triple-. Though they may sound inviting and as though you will getting value for you money, in actual fact you will only be taking in more than your body really needs. This will be more of the calories, more of the fat, more of the sodium, more of everything, which can also lead to obesity! And you definitely don't want that. So practice portion control. Now, when choosing meals with meats, instead of going for the deep-fried ones, choose those meats which are baked, roasted, broiled, grilled, boiled or stir-fried. Also, choose lean meats which have the extra fat trimmed off. You can also request that for dishes that have gravy or sauces, that the sauce or gravy be put on the side and you add it in yourself. The problem with deep-fried foods is that they will obviously contain more fat and cholesterol. Which we have already mentioned that having these in excess can lead to serious health issue. When considering eating out healthy, one's mind usually runs to the salad bar. However, don't be deceived to think that you're eating healthy just because they are salads. 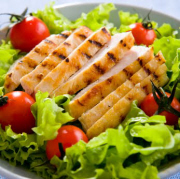 Salads can contain too much salad dressing or salad cream, which adds calories and total fat. You can instead also request that the salad dressing be brought to you on the side and you add it yourself. This way you will be in charge of what's in your meal. Also be weary of vegetables that have extra sauces or toppings added to them. This will again be extra fat, sodium and cholesterol. No one meal would be complete without having a beverage. When it comes to your beverages, try and choose those that contain less sugar. Water is the best beverage that you could ever go for. However, should you feel like a soda pop, the diet drinks are better. This is because they do not contain any sugar. A few examples include diet coke, coke zero, sprite zero, etc. You could also opt for low-fat or fat-free milk and 100% fruit juices (though they also contain bit of a high amount of naturally occurring sugars). If it's coffee or tea, you may again request for low-fat or fat free milk. One more thing, let your meals be built on whole foods. These can range from fruits and vegetables, to whole grain, whole meal and whole wheat foods such as brown rice, whole wheat pasta and bread or oatmeal if it's breakfast. Also, try and make sure that your calories and nutritional needs for the day are met and you don't supercede or are lacking in any. If you're on a 1,800 calorie diet, 2,000 calorie diet or 3,500 calorie diet, try by all means to stick to it. A food diary may be a helpful thing to keep when you're just starting out. Finally, dessert is still okay to have when you are planning on eating out healthy. Choose low-fat or fat-free as well as sugar-free frozen yogurt. Things such as sorbets and sherbets may be lower in calories and fat content when compared to ice-creams but they are still loaded with sugar! So as mentioned earlier, the best thing to do will be to look at the nutrition facts. Some ice-cream nutrition facts have shown that some ice creams contain less fat and sugar. So let that be you guide as to whether you'll eat it or not. Otherwise if you're still not satisfied, fresh fruit can work all the same as dessert. Eating out healthy at lunch time is achievable. As we mentioned earlier, you can eat a whole grain or whole wheat sandwich with fillings such as tuna and cucumber, tomato, peppers, cucumber and onion, etc. This you can either make when you're still at home or you can order at a take out. If you're eating out, look for places where you can custom-make your food. Such places include Taco Bell's, Chipotle's, Subway and Starbucks. If you want to go the pizza route, choose the vegetarian pizza with thin crust and have a maximum of 2 slices! Extra cheese, meat and a thick/deep crust only adds to the calories and fat. Eating out healthy Mexican food can be a challenge if you don't know what to pick. However, it's not that difficult. You can order foods that aren't fried, burritos, cantinas, fajitas and soft tacos. Taco Bell's and Chipotle's allow you to custom-make your meal. So go ahead and choose the healthier ingredients. For your burritos you could choose a bean burrito, chicken burrito with sour cream and cheese substituted with lettuce and vegan burrito bowl amongst many others. You could also go for guacamole and salsas. You however need to be careful of the deep-fried taco salad. It can contain up to 1,000 calories. If you're on a 2,000 calorie diet, this will already be half of your calories for the whole day! Unless if you're going to be eating lighter the rest of the day, like fruits and vegetables and water only! !